Role models can help guide people as they make life decisions. The importance of having a good role model is often overlooked during the senior years, but having someone to look up to offers many benefits at any age. Harrisburg senior home care professionals highlight the reasons your senior loved one should have role models. The media often portrays aging as something to avoid. However, today’s seniors are enjoying a better quality of life than generations before them. Seniors who embrace aging as an exciting time can help your loved one view getting older as a positive experience. While it is important to eat right and exercise, it can be challenging to stay motivated when the payoff seems far in the future. 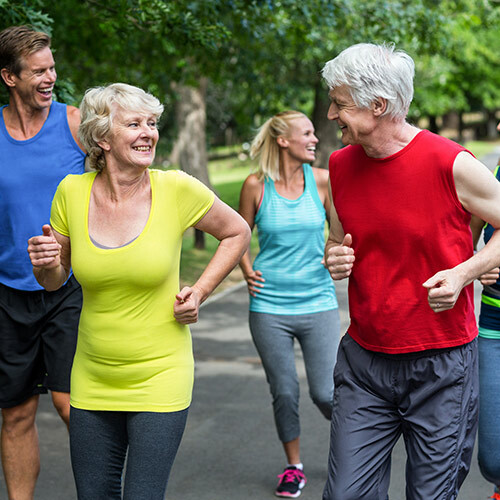 Good senior role models can demonstrate the results of staying on top of their health. Your loved one can observe how older role models continue to do many tasks independently, which can be excellent motivation for living a healthier lifestyle. The majority of strong senior role models remain active in their communities. They prefer to get out and mingle because they know personal relationships in the senior years help prevent isolation and depression. Watching another senior host a party or volunteer at a local school can remind your loved one that older adults have many things to contribute to the world. Senior role models are often older than the seniors who look up to them. They may have already experienced many life challenges, such as the loss of a spouse or a new health diagnosis. Their wisdom can help your loved one who may be encountering a life challenge for the first time. The right role model can motivate your loved one to pursue an active lifestyle for optimal health and longevity. A professional caregiver can serve a similar purpose. Home Care Assistance provides live-in and respite care Harrisburg families can rely on to support their elderly loved ones. Our caregivers are trained to assist seniors with making healthy lifestyle choices and accomplishing daily tasks around the house, and we also offer comprehensive care for Parkinson’s, Alzheimer’s, and dementia. Call (717) 540-4663 to speak with a knowledgeable Care Manager and learn more about our elder care services.